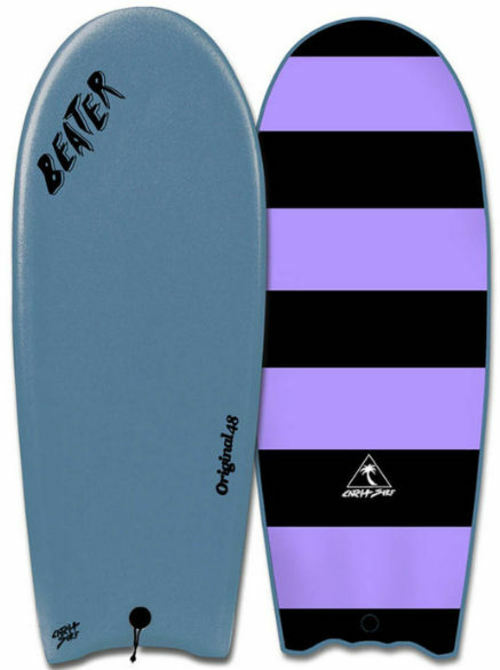 4.5	stars -	"Review for Catch Surf Beater Original Blue Steel Softboard 48 inch" Mark Taylor This Catch Surf Beater Original Blue Steel Softboard 48 inch is the best Catch Surf I have tried. Pop-thru leash plug at tail included. Designed in California, U.S.A by Catch Surf.